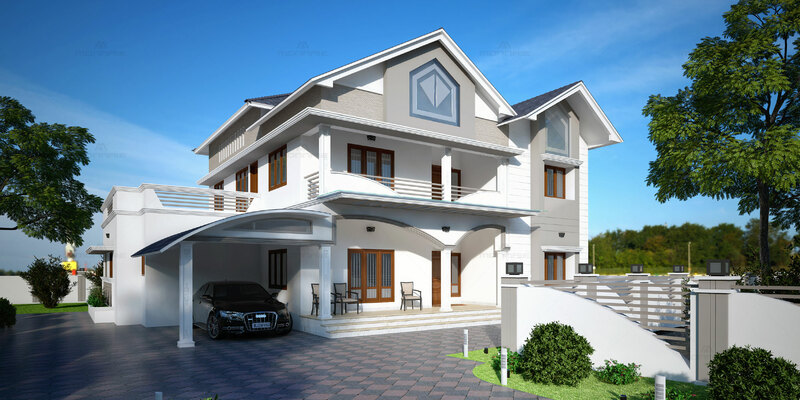 This house is a mixed style house with a colonial and contemporary architecture and is both beautiful and functional, which is one of the reasons it has flourished as a style. The total land area is around 20 cents with a built up area of 3000 sq. ft. in two floors with 3 bedrooms and a light well.